is rated by customers with a TrustScore of 9.3 (out of 10) and a Net Promoter Score of 72. 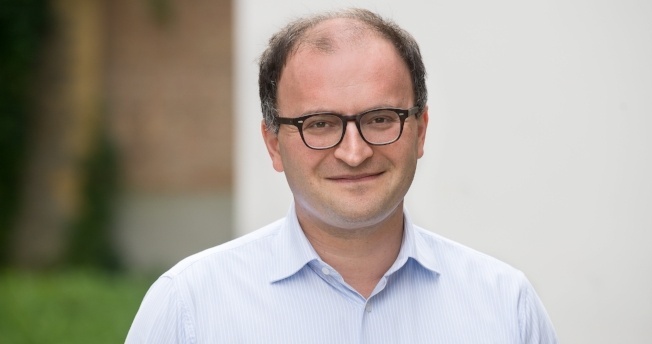 - This are just our first steps in terms of democratising access at a low cost for European investors - Tamaz Georgadze, CEO and founder of Raisin, tells me. Raisin raised close to $60 million, plus an undisclosed strategic investment by PayPal, in December 2017. Before leading Raisin, Tamaz spent almost ten years as a partner at McKinsey & Company, mostly serving some of the largest European and Asian banks. 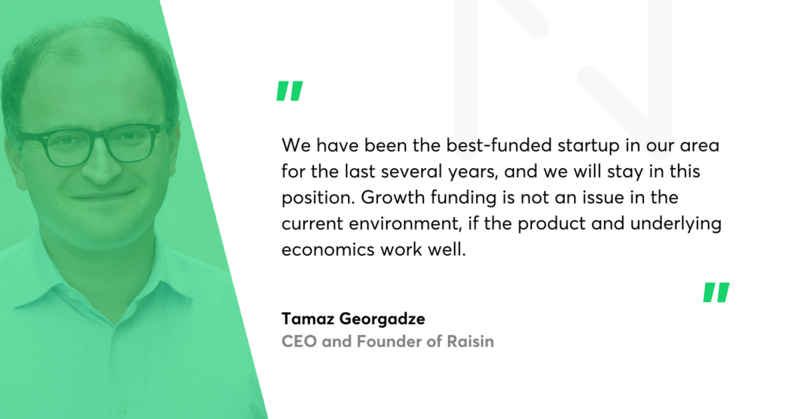 Read the interview with Tamaz Georgadze to find out about the lessons he learnt as Raisin’s leader, see why he’s not worried about money to spend on growing. Also, why he believes in the ‘Lego approach’ to building leading market solutions. 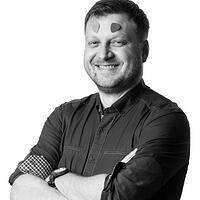 Tomasz Grynkiewicz, Netguru: Raisin is growing tremendously fast. From your perspective, what made you stand out from the fintech crowd? 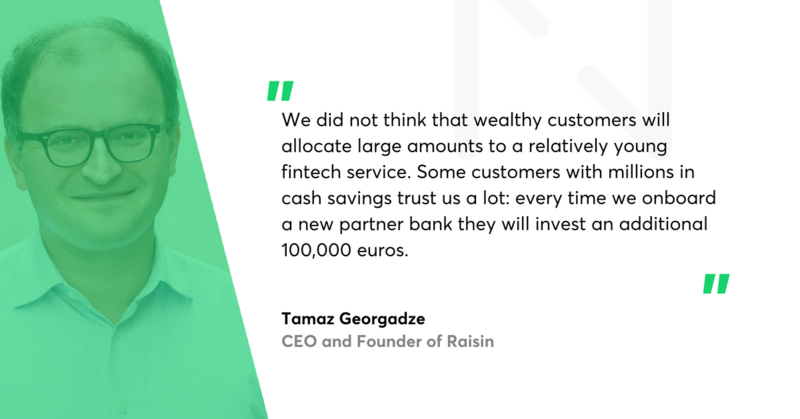 Tamaz Georgadze, CEO of Raisin: Many fintechs are concentrating on a niche proposition which is at times easier to build but harder to scale later. From the beginning, we have approached the broad European market of savings and investments that is more than €15 trillion in size. This way we were able to win a large number of customers in a short period and grow fast. What were the most important values that helped you accelerate? We have always been eager to innovate and experiment around the core product. We have been one of the first providers to get rid of the account opening form, to allow instant access to online banking functionality after the registration; we have been one of the first to allow third parties to use our APIs. All of this and, more generally, a positive attitude towards change and external partnerships contributed to our growth trajectory. How do you envision your company in three years? What is your goal for 2020? In a nutshell, we want to build the leading one-stop shop for savings and investment in Europe in the coming years. As I’ve mentioned, we see the €15 trillion private household wealth as an area which was not adequately taken care of by banks or wealth managers. We want to offer the customers a far superior solution regarding experience, quality and cost. But we need to ensure a couple of things to get there. First, we need to continue to build the best consumer experience around the core savings product. By now, we are offering around 200 different products from 51 banks from 22 countries across Europe. The core is to ensure that the breadth and attractiveness of the offers remain unparalleled in all our target markets. Secondly, we need to ensure that our platforms are accessible to all Europeans. I thought the functionality is available to all European residents through raisin.com? That’s true, but we think that the convenience of the offers is much higher on the local country domains, like raisin.es or weltsparen.de. I assume it does mean a market expansion? We launched very recently in the UK. We plan to expand in the Netherlands soon. More to come after that. Any plans to go beyond savings? Our WeltInvest product, built in partnership with Vanguard and BNP Paribas, is a convenient, accessible and low-cost way to access capital markets. Just a few months after the launch the proposition has several thousand customers in Germany. This is just our first step in terms of democratising access, at a low cost, for European investors. ‘To compete or to collaborate’ - there is an ongoing debate about fintechs’ strategies towards incumbent players. There will always be some fintechs that will be able to become incredibly successful without collaborating with any incumbent bank. The majority of successful fintechs, however, will be working with established players in the financial industry. The ecosystems will get more fluid and solutions more accessible for the consumers - which is a good trend to be part of. Raisin is an example of an extraordinary partner-winning company. How has a relatively unknown startup successfully signed on so many partners? The most challenging part was to convince the first out of our 51 deposit-taking bank partners to join our platform. As soon as we had proven that our business model works and delivers results, it got easier. We are being referred quite often by now. On the distribution side, it is beneficial to partner with leading neobanks and brokers in Europe – both N26 and BinckBank have put a lot of thought and effort to translate our APIs into a neat and convenient product experience. Which partnerships were the hardest to get? Large financial institutions, like AIB or NIBC, are harder to onboard than smaller ones because of naturally more complex decision-making. What do you expect from the recently announced joint project with solarisBank and Alior Bank? The new pan-European mobile bank will be offering excellent opportunities for all parties involved. Customers will be able to take advantage of the services provided by Alior Bank, solarisBank, Raisin and Mastercard. It is just another example of a “lego” approach, which builds on a partnership of specialists who are advanced in their area, but believe that it takes more than one provider to create a market-leading solution. In the savings area, Raisin receives a commission directly from its partner banks for each successful investment made by customers. There are also some fees on investment products. The deposit service is free of charge for customers. Let’s discuss future challenges. What may hamper your further growth? Regulatory compliance, robust competition? We have been compliant from day one, and we see the ability to build scalable solutions for the regulated industry as our strength. For example, we always seek regulatory guidance and clarity on licensing before any market launch. In the future it will be of paramount importance for regulators and for us to keep pace with the technical progress, be it on digital KYC, biometrics, or instant payments. What about competitors? There are many similar services across the globe. Since we innovated the savings area, some followers launched across the globe, e.g. Flagstone and Octopus Cash in the UK, Deposit Solutions and savedo in Germany, maxmyinterest in the US. We see it as a massive endorsement by the industry for us and our concept. Local competitors still lag far behind in terms of market reach and number of banks products available. In the end, though, the relevant competition for us are alternative offers from banks, rather than fellow fintechs trying to pioneer and innovate alongside us. What about hiring talents? Every time I interview a fintech CEO this is one of the most frequent pains that pops up. This one indeed hampers our growth. We have been international from day one and have been attracting a lot of talent to Berlin, but at a rate which might have been even faster. With over 200 employees, it seems that Raisin is growing at a breakneck pace. And that is our internal challenge as well. To break down borders and barriers is in our DNA. It takes a lot of effort to remain united in our vision and retaining the eagerness and speed of a startup. If you had a chance to come back in time, what would you do differently? I would have hired tech talent faster and broader. Also, I’d iterate and optimise the core product itself much faster. Anything you’d stop yourself from doing? From starting too many small initiatives, which runs a risk of de-focussing the team. There is a lot of discussion in the media, Monzo’s a recent example, about fintech profitability. Is Raisin profitable at the moment? No. We are focused on delivering value to the customers and growing our user base. Do you have any plans for IPO? None at the moment. We feel that there is ample room to grow with our current funding. Are you not afraid of being short of breath with funding and investments? We have been the best-funded startup in our area for the last several years, and we will stay in this position. Just in December 2017, we have raised a sizeable strategic investment from PayPal, after raising another sizeable round early in 2017. Growth funding is not an issue in the current environment, if the product and underlying economics work well. From one of your previous interviews I’ve learnt that “it takes two to three years for a customer to become profitable to the company”. Did you manage to shorten that metric? We have indeed shortened the payback period by increasing our customer loyalty (our NPS score has been stable over 70 in the last two years) and decreasing acquisition costs. We have achieved the latter through a conscious investment into our brand, resulting in a significant shift towards more organic traffic (direct type-in, search of our brand, referrals through customers). Were you in any way surprised by how users used the Raisin product? We did not think that wealthy customers will allocate large amounts to a relatively young fintech service. Some customers with millions in cash savings trust us a lot: every time we onboard a new partner bank they will invest an additional 100,000 euros. As a final question. Which companies inspire you regarding strategy, customer experience, UX and technology? Regarding strategy, Amazon has been amazing in conquering one market after another. I like N26’s product and experience. Outside of fintech, I am, as a consumer, amazed by Google Maps, an incredibly powerful tool. Regarding UX, I liked the original Robinhood app UX a lot – simple and neat. And Revolut has been impressive in rolling out functionality across segments and countries.